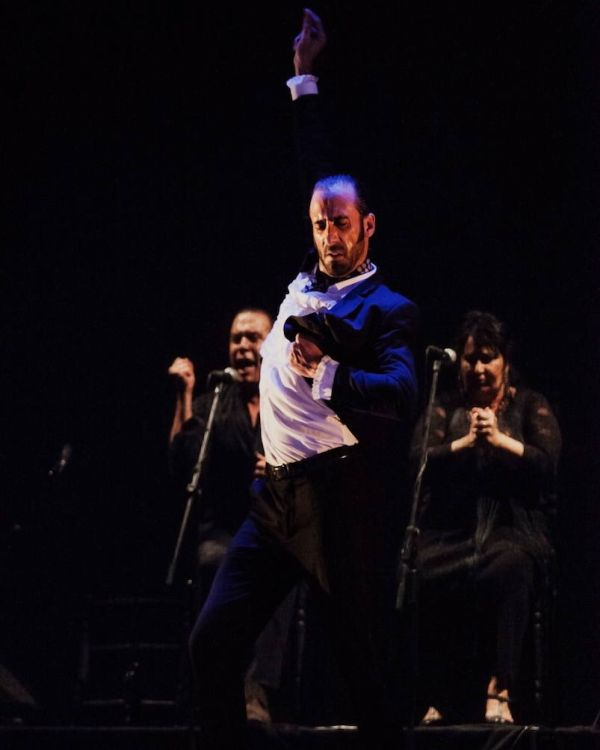 The Instituto Cervantes of Chicago presents this new initiative, Flamenco from Extremadura in order to make known internationally this art of the Extremaduran culture. Join us for the Opening Night of 17th Annual Chicago Flamenco Festival, a showcase of flamenco dance and music, Spanish wines and Spanish-inspired hors d'oeuvres designed by chef Jan Santos. The Instituto Cervantes of Chicago presents this new initiative, Flamenco from Extremadura (Spain) in order to make known internationally this art of the Extremaduran culture. Flamenco Abierto. Arise from the need of sharing the Flamenco sentiment without additives, preserving its essence but always opening to the world an art that it is very alive. Three projects join forces to bring more visibility to the Extremaduran Flamenco. Each one of its members have matured, musically speaking, working with a broad range of the Spanish music scene, but now it is the moment to open his roots outward. Enjoy something that it is more than a concert, Flamenco Abierto. Jesús Ortega was only 8 year old when he decided that Flamenco would be his life, and he was only 10 year old when he made his debut. In 2002 he enters the “Ballet Cristina Hoyos”, and in 2003 he joined the “Ballet Flamenco de Andalucía”. In 2010 received the CAB award for his artistic trajectory as a dancer and choreographer. Since 2012 is working as a dancer and choreographer for “Solistas del Ballet Cristina Hoyos”, and he has toured Spain, Canada, Vietnam and China. In 2013 he decided to go back to Badajoz to open the “Centro De Flamenco Y Danza Jesús Ortega”. In 2018 he premiered “Camino”… don´t miss it. Juan Manuel Moreno was born in Carcaboso (Cáceres) in 1979. He is a guitarist and singer, who has studied with José Antonio Conde, Manolo Sanlúcar, El Viejín and Juan Ramón Caro. He has performed with Guadiana, Ramón el Portugués and Esther Merino. In 2017 he released his first álbum “Dos maneras de sentir”.